We hold expertise in providing a broad series of Special Edition Aluminum Non Stick Kadai. Our product is broadly used for their attractive patterns, robust nature and longer life. We are a unique name in this industry to provide our prestigious clients an exclusive range of Non Stick Kadai With Glass Lid. Our respected clients can avail from us a quality approved the range of Deep Kadhai. These products are offered in multiple specifications. 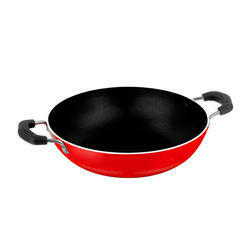 - Non Stick Kadai help you stir fry vegetables. Keeping the diverse requirements of customers in mind, we are instrumental in providing Non-Stick Deep Kadhai. 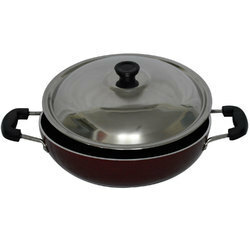 This Deep Kitchen Kadai comes with a lid and ensures uniform heat conduction.